30% bonus when you buy Virgin miles using ‘Miles Booster’ – good deal? British Airways has launched some attractive Club World fares to the US and Canada for Autumn and Winter travel. These are not being advertised by BA as far as I can see, but they are out there (Trailfinders is promoting them here) and they are bookable via ba.com. The fares are valid for departures on selected dates between 28th October and 14th February 2019. A Saturday night stay is required (it may even be 7 days depending on route). The offer is bookable until 28th February. American Airlines flights are bookable as well as British Airways ones. You should check which plane type is being used but in many cases you will get a superior seat to Club World. You receive the same Avios and tier points irrespective of which airline you choose. Remember that inbound AA flights do not qualify for EU261 compensation if delayed. “Part Pay With Avios” is also available. Details of how that works are on ba.com here. Do not book until you have also checked out BA Holidays pricing, booked as a ‘flight and hotel’ or ‘flight and car’. This often works out even cheaper or can get you a hotel for a nominal extra sum per night. The BA Holidays Club World page is here. 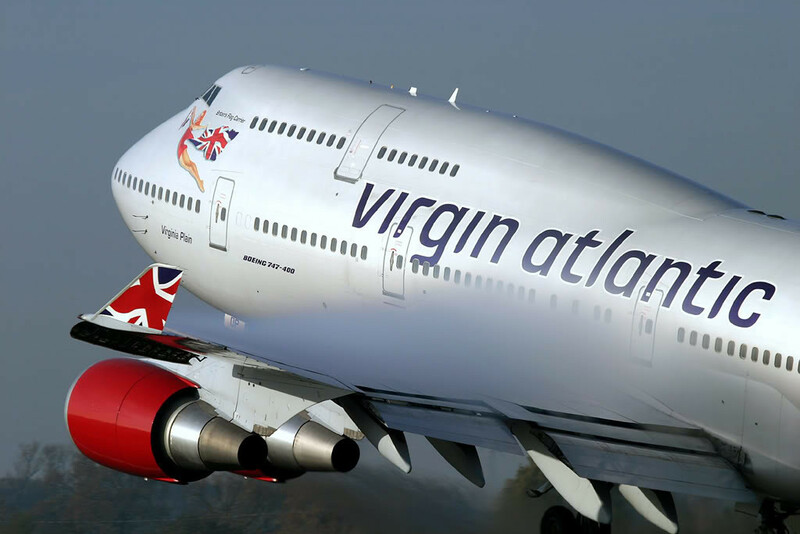 Virgin Atlantic has brought back its occasional ‘Miles Booster’ promotion with a 30% bonus. This allows you to buy Virgin Flying Club miles very cheaply if you have a Virgin Atlantic cash or reward booked or have taken one recently. This offer appears to be targeted to people who were emailed about it by Virgin Atlantic. I cannot find any reference to the deal on the Flying Club website. If you were not contacted yesterday then you should assume you are not included. Miles Booster only works if you have a Virgin Atlantic cash or reward flight booked or have taken one in the last six months. You are able to buy an additional 200% of the base miles you will earn from the flight for just 1p each. This gets even cheaper during this promotion. Click here for details. If you have a New York economy flight booked, for example, you would earn 6,916 base miles from your trip. Miles Booster allows you to buy up to 13,832 additional miles for just 1p each. Plus, until 9th March 2018, you would get an extra 30% bonus as well. If you maximised the Miles Booster option for a New York economy flight, you would be able to buy a total of 17,981 Virgin Flying Club miles for just £138.32. That is 0.77p each, which is well worth considering. You can retrospectively buy miles via Miles Booster for any Virgin Atlantic flights taken in the last six months, cash or reward. Yes, even previously flown or currently booked redemptions count. If your trip is in the future, you will not receive your Miles Booster miles under three days after you return. LAUNCHING MONDAY .... our biggest ever mileage giveaway! Sorry if this is a daft question but I am flying with mrs totaltool on qatar. i have BEAC account but mrs t does not. can I claim avios for both of us or does she need to open a BEAC account (and presumably a QATAR one as well)? Needs her own BA account. No need for a Qatar account. So we need not worry about you entering next weeks competition Polly? Any recommndation of using hotels in either Europe or Asia for Travel Package, I have one expiring in next couple of months. Tying to decide and book flights with Amex Travel offer. Domes of elounda marriott in Greece is on radar. Any other worthwhile place which is also fun for kids too? Genghis, was that you who mentioned about Borneo? Looking for ideas. I mentioned Phu Quoc. Looks great but not suitable for us currently. Just checked that hotel for MTP, seems website is giving some error. works for 2 adults and 1 child but when both children are added shows an error. I first went to Phu Quoc back in about 2000/01 and it was like Samui 20 years before that. I loved the place but for whatever reason, I haven’t been back. However, I was trying to get out there for Easter. Flights are easier from Thailand on Bangkok Airways (credit to Etihad mileage) from at least Bangkok and Chiang Mai direct. Far easier than going via Saigon unless you want to of course. JW Marriott with crazy buildings and colours is a year old I think and a suite type room was £1800 for the week, though payable as 40 billion dong of course. I thought it offered good value if you had kids too big for sharing a bed but too young for their own rooms. Of course the old Phu Quoc has gone forever and memories will be all I have left of that place but even if it is not Samui from 30 years ago, then I’ll take Samui from 20 years ago as that was far better than Samui of today. Hopefully back for a week just before Christmas or next Easter. Roger, there is a brand new Marriott opening in Bangkok next month. It is only category 5. It is on Suriwongse Road which is sin city but far down the other end closer to the river but not on it. Upgrade it for to the next category up, which resets the clock for a further 12 months. Assume, you just upgrade by adding extra points to your account and phoning customer services. Address an email to the CEO, a very nice Irish lady will likely respond if she is still there. She likes to resolve problems, but much to cheaply IMO (sounds like maybe you got her already) so don’t show too much enthusiasm for her initial suggestions. I thought she was offering me 50k EG miles, turned out to be 15k! Thanks James that’s a helpful tip . Thanks to others for the MTP tips. I threatened court and after a number of attempts, I finally got someone to understand that my lawyers bill would be nothing short of £10k, their in house might be half that at least, my time would eclipse the sum of both of those with ease and before they knew it they would be staring at a £50k plus cost when it would cost perhaps two free flights to get them out of the problem they created. Let us say that common sense prevailed. O/T – I have an IHG Rewards Premium card (annual fee £99). I am awaiting the issue of the free night certificate once I reach the date of the one year card anniversary. Can anyone tell me, is this a one-off or can you earn a free night certificate every membership year, if you meet the £10k spend target? If the latter, I will keep the card, otherwise will most likely cancel once i have the free night certificate. Ha. Sorry yes of course. Interesting thing to share about the miles booster promotion. I got the miles booster on a reward flight late last year. It later transpired that I wasn’t going to able to fly. So I cancelled the flight. I was also able to cancel the miles booster since it was within the 14 day period. I got my money back and the miles booster miles were taken away from my account. But almost a month later, I got the 30% bonus miles.